John Spence is a senior technical assistance consultant at AIR. He has over 17 years of experience directing large-scale initiatives in public education with a solid track record of expanding operations, initiating and maintaining strategic partnerships, managing technical assistance and professional development for educators, developing and sustaining meaningful relationships with key decision makers, supervising teams, writing and delivering reports, and presenting at regional, state, national, and international conferences. As the state liaison for the Texas Comprehensive Center, Spence coordinates with staff of the Texas Education Agency to build capacity for the implementation and administration of programs under the Elementary and Secondary Education Act. 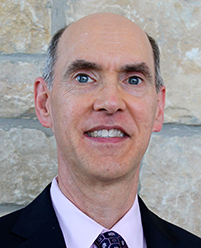 He leads the TXCC’s work supporting the Texas Expanded Learning Opportunities Council, the Texas Equity Plan, and the Texas Principal Evaluation and Support System (co-lead), and he serves as a team member on the Texas Teacher Evaluation and Support System. He is actively involved in supporting the Concerns-Based Adoption Model as a certified Levels of Use interviewer, and he leads a FedTAPS initiative to provide coaching and team development using the Clifton StrengthsFinder. Spence was previously the director of enrollment at Reasoning Mind, a Houston-based nonprofit that supports early algebraic readiness through blended learning, rigorous curriculum, and teacher professional development. In this capacity he led a team to improve processes, refine systems, and provide supports to initiate and build long-term relationships with clients and partners. He served as an associate director at Region 14 Education Service Center (ESC) and the director of Service Learning Texas (SLT), a statewide initiative of Region 14 ESC and TEA that he led for nearly 15 years. Under his leadership, this initiative engaged thousands of students in well-designed service-learning experiences, provided high-quality professional development to thousands of teachers and other school staff, leveraged an array of partners in support of SLT’s mission, and secured over $32 million in grants from federal agencies, foundations, and businesses. Spence has also provided independent consulting services to a variety of clients in service-learning, organizational change, behavioral interviewing, and strengths-based development.